The Surigaonon's colorful culture and jolly character are reflected in the various festivals and tourist events it celebrates the whole year round. An award-winning cultural-religious festival highlighted by a street dance parade depicting the legends and lifestyle of the indigenous Mamanwa Tribes. The festival is also a tribute to St. Nicholas, city's Patron Saint, whose feast is observed on September 10. A procession at sea in honor of the Patron Saint of Barangay Taft, Virgen de la Paz y Buen Biaje. 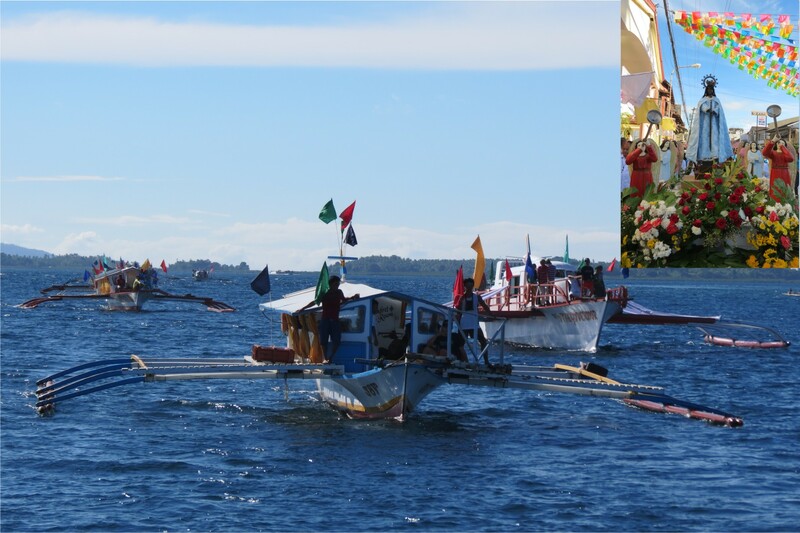 The patroness of Good Voyage is carried aboard a beautiful adorned lead vessel followed by colorful motorboats, and bancas passing along the historic Surigao Strait. 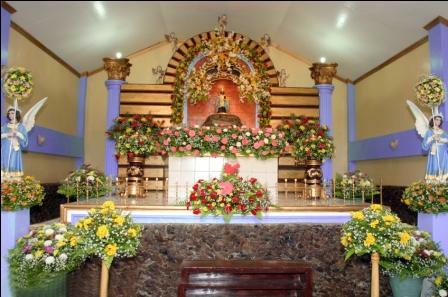 The city's town tribute to the month long nationwide celebration of the feast of the Holy Child Jesus held in the farm village of Barangay Serna. A week-long socio-civic and cultural celebration to mark Surigao's Cityhood. A dawn observance of the significant Naval batle during World War II marked with wreath-laying at the historical landmark in Brgy. Lipata. 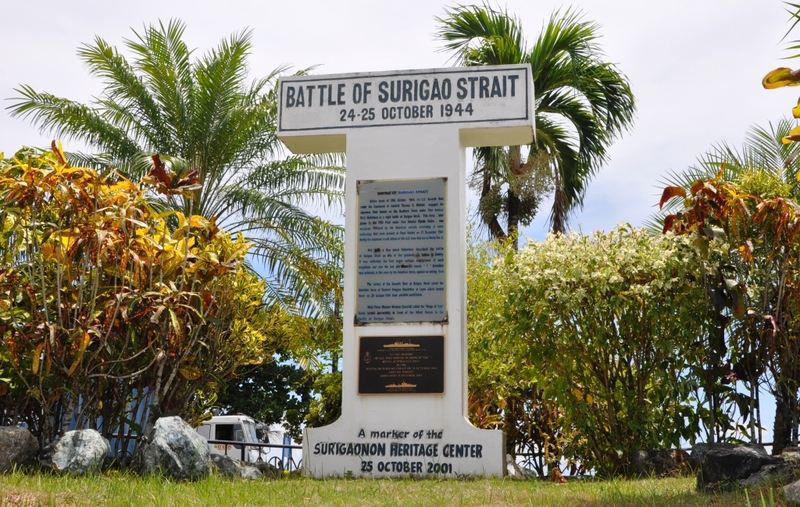 The Battle of Surigao Strait is part of the Bigger Battle of Leyte Gulf which turned the tide of the War in favor of the Allied Forces. Recreating the Historic event when Filipino revolutionaries raised the Philippine Flag for the first time in Mindanao. The highlights is the Hoisting of the giant flag of the city hall where the event took place in 1898.